Disclaimer: I received entry for Back on My Feet Mardi Gras Chaser 5/10k to review as part of being a BibRave Pro. 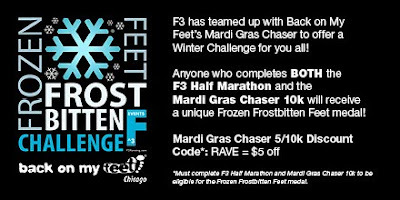 The Back on My Feet Mardi Gras Chaser 5/1k is just 14 days away! I ran last year and had a GREAT time. You can read my recap here if you like. The start/finish are at Montrose Harbor and the course runs along the lakefront path. The race is on Saturday, February 25 with a 10am race start. I do enjoy races that have a later start time – gives me more time to sleep haha. Also, in the winter, it's always a good idea to start a bit later in order for the day to 'warm' up a bit. Below are some helpful and fun details about the race along with more info on Back on My Feet. 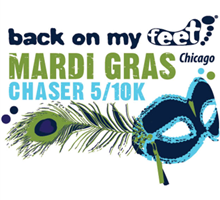 'On Saturday, February 25th shake the winter blues and join us for the most festive race to ever hit Montrose Harbor - the Back on My Feet Chicago’s Mardi Gras Chaser 5/10K. Let the good times roll at the ONLY 10k in the first quarter! There will be masks, music, and motivation. Sleep in Option: $20 per person. Do you want to support Back on My Feet but don’t want to roll out of bed for the race? 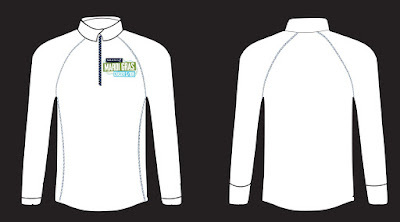 Then register for the Sleep in Option, you will receive the race swag but don’t have to leave the comfort of your bed. 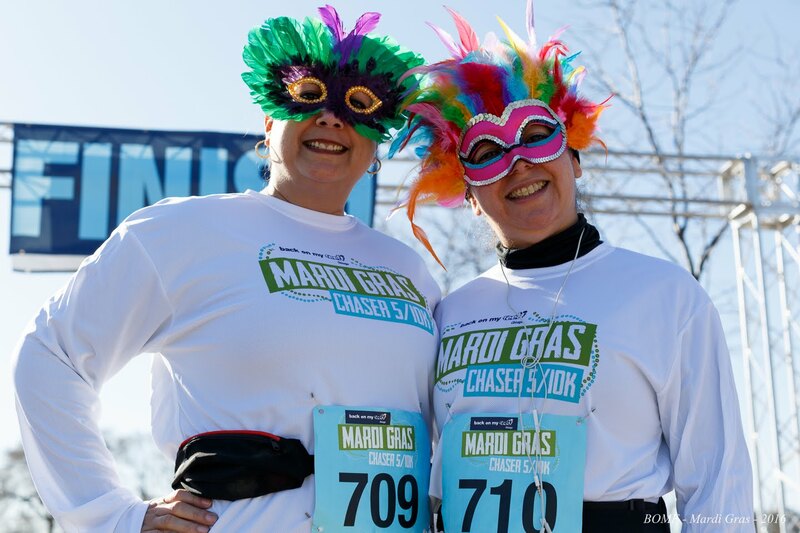 Save $5 on registration using code RAVE (valid through 2/23 at Noon, which is when online registration closes). Also, if you completed the F^3 Lake Half Marathon on January 28, and complete the Mardi Gras 10k, you'll receive the Frozen Frostbitten Challenge medal! If you would like to pick up someone else's packet please come with their e-mail confirmation. There will be race day packet pick up as well from 8–9:30am. But we encourage you to get your packet in advance if possible. 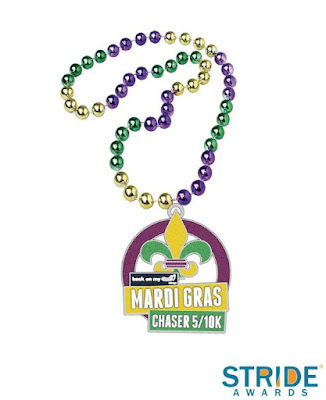 Quarter Zip and 10k finishers receive beads/medal (see below for photo of medal). The course is an out and back. 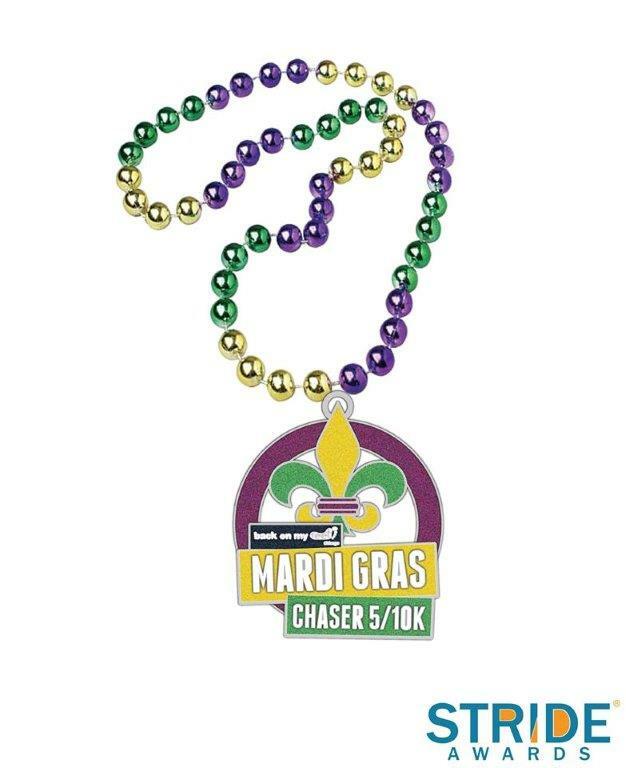 In true Mardi Gras fashion, the race will kick off with a parade of runners. 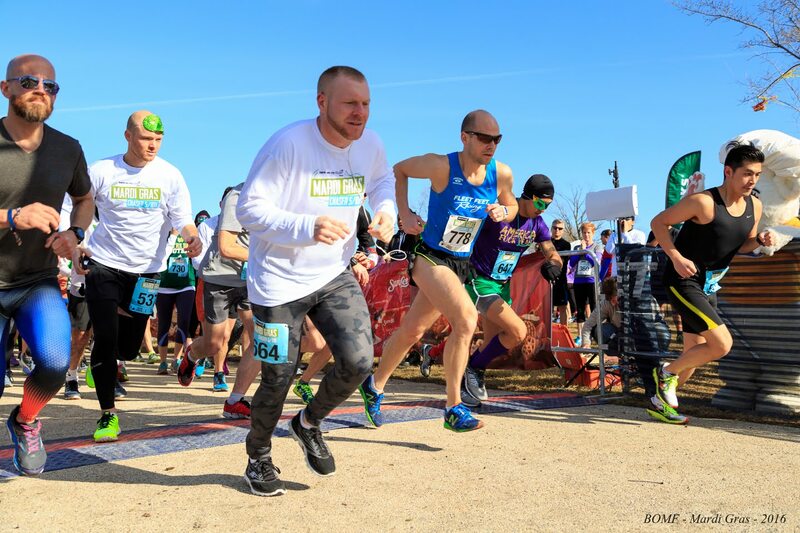 You will set off and flash your speed heading west along the Harbor to the main lakefront path and turn south where you will run down to the North end of Belmont Harbor for the 5k and South end of Diversey Harbor for the 10k. There, you will gain extra energy from our motivation station before turning back north and returning to race village at Montrose Harbor. If you are coming from the South it is easiest to access the race from Montrose and Lakeshore Drive. If you are coming from the North is it best to access the race from Foster and Lakeshore Drive. Parking is available on Montrose and Simonds, which is metered. There is also a metered parking lot at Foster and Simonds. BoMF Chicago was founded in September 2010. The main focus is helping the homeless get back on their feet through the power of community & running. BoMF helps them find housing, education, and jobs through running. 70% of homeless population is living in a shelter, but don’t have their own address. Run out of the homeless facilities with the help of community volunteers. First 30 days, BoMF asks that they are positive and present and maintain 90% attendance, which is missing just one run. Once they identify as runners, they don’t identify as homeless anymore and gives them the motivation to take on more in life. After 30 days, they sit down with staff to build a road map of what goals look like, and what next steps are to take on in life – go back to school, get truck driver license, go back to work, ideas for housing. Provide financial aid, but they earn it through joining the runs. Help pay for beds, down payment, etc. $1 donation puts $2.25 back into the community. 30% success rate. BOMF pays to outfit them to keep running. If a fun race isn't enough incentive to get you to register, maybe the idea of helping the homeless in Chicago get back on their feet through running is :) This race was so much fun last year, and part of it was seeing the BoMF members out there running (some their first race ever) and seeing the joy on their face. Maybe you aren't interested in racing, but can volunteer your time? 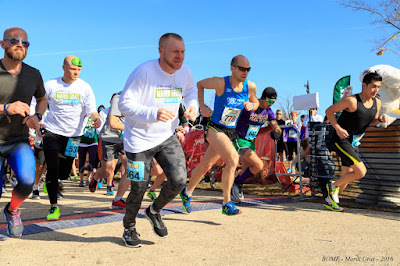 Head here to fill out the form (the form seems to be down at the moment, so if that's not available, maybe shoot an email over - info@backonmyfeet.org).